How do online petitions work, and Why do we need them? "Why Should I Sign This Petition?" Petitions 101: Why Do We Need Petitions, and How Do They Work? In this ten-part series, we’ve broken down the simple steps anybody can use to effectively turn their ideas into action. We'll explore how a petition is formulated, supported and presented. But first, let’s dig into Petitions 101: Why do we need them, and how do they work? A petition, put simply, is a list of names and signatures compiled together to show popular support for a cause. By demonstrating public support, petitions give clout to an issue that could otherwise go overlooked by government or business. 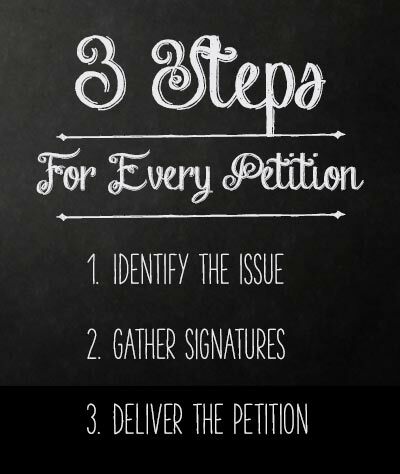 Whether you are looking to change a law or a behavior — or just raise awareness for an issue — petitions are an easy and inexpensive way to get the word out. Petitions have a long history of bringing about significant changes. In the U.S., a petition demanding an end to slavery gathered 130,000 signatures and helped start turning the wheels of Congress toward ending slavery. Care2’s online powerhouse, ThePetitionSite.com, is transforming our definition of activism by making petitions more accessible to the public and easier to support and share. Walking door-to-door, or approaching people on the street to bring awareness to an issue or cause. Mailing in signatures and hoping for the best. Can still involve walking door-to-door to raise awareness. Harnesses the full force and POWER of the Internet. The ability to share petitions instantly across social networks and online communities gives petitions a megaphone along with a shot of much-needed energy and enthusiasm. Online petitions are easier to create and more effective than ever before. When can a petition make a difference: Human/animal rights? Corporate policy? Environmental issues? Yes, yes, and yes. A petition allows many with the same voice to be amplified and heard in unison. A petition offers a central point of contact between the public and those who shape policy. A petition can unite individuals from all around the globe towards a common goal or cause. Identify the Issue: What is it you’d like to change? What is the current reality? Using https://www.thepetitionsite.com/create-a-petition.html, you can easily craft a petition stating your goals. Gather signatures by sharing electronically as well as in person. Encourage folks to not only sign the petition, but to share with others they know will support the cause. Use this opportunity to share your passion and emotional connection to the issue! Deliver the petition! Present your idea, along with the supporting names and signatures, to someone who can do something about it! Care2 can easily help to make sure a petition reaches the right hands. 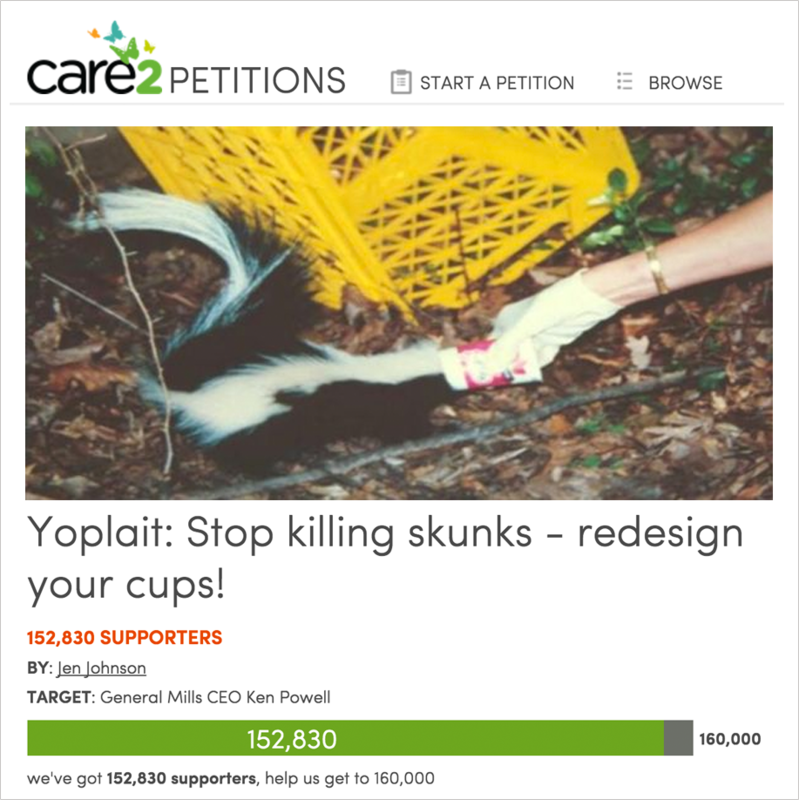 This petition asks Yoplait to change the shape of their cups to help save wildlife. The problem is clearly stated and it has universal appeal and an achievable goal. 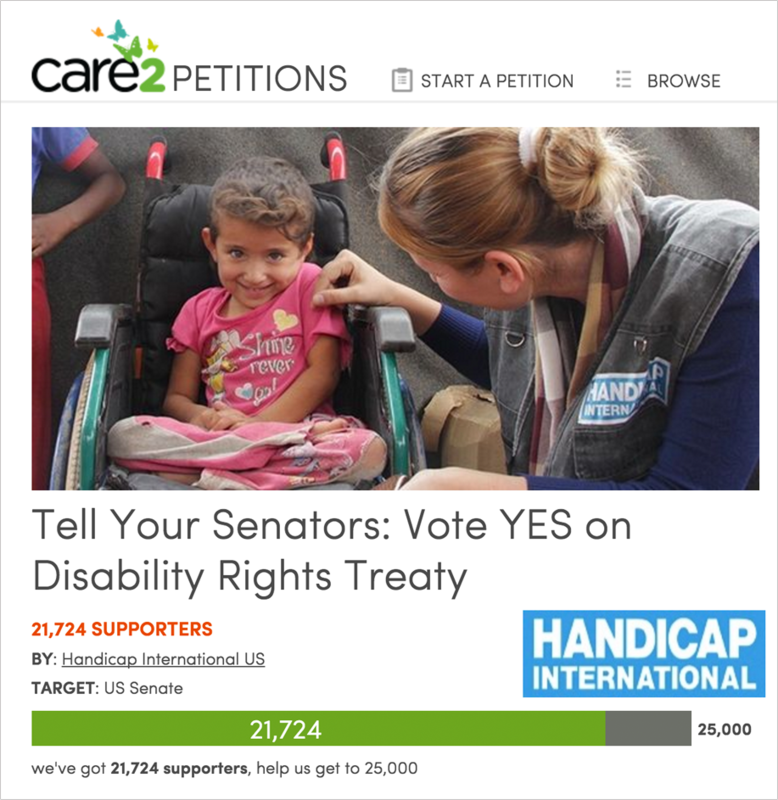 Here’s another excellent petition that asks US Senators to ratify a bill that helps to stop discrimination against people with disabilities. This petition is a great example of how a petition can help to open a conversation between the people and their government. Remember, the goals of a petition are to drum up support, to introduce the population to your cause, and to show policy makers that there are others who back your requests for change. We give you all the tools you need, but only YOU can breathe life into the issues that matter most to you and your community. Do you have a cause to share with others? Is there an issue you are passionate about? Start a petition today! In Part Two, we’ll explain the questions you should ask yourself to determine whether or not your cause is “petition worthy.” Click here for more tips and tricks on how to share and promote the causes you care about most!